The airline is aiming to be the industry leader for LGBTQ inclusivity. These changes come as the company aims to lead by example on LGBTQ inclusivity and “exhibit our care” to passengers. 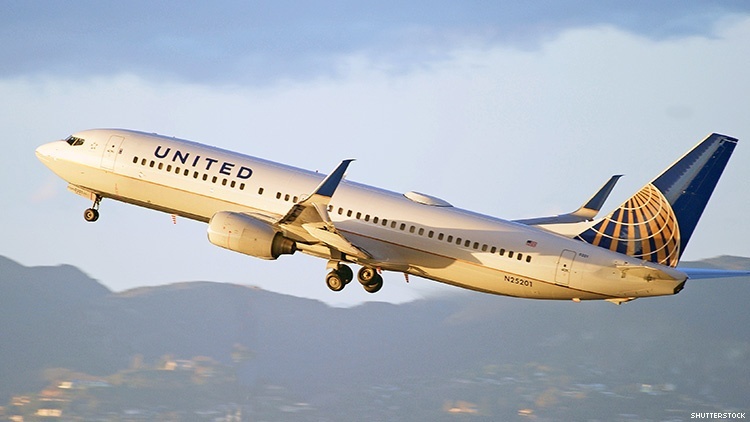 "United is determined to lead the industry in LGBT inclusivity, and we are so proud to be the first U.S. airline to offer these inclusive booking options for our customers," said United's chief customer officer Toby Enqvist. "[We are] excited to share with our customers, whether they identify along the binary of male or female or not, that we are taking the steps to exhibit our care for them while also providing additional employee training to make us even more welcoming for all customers and employees,” he continued. The Transportation Security Administration, a federal agency that handles security at all U.S. airports, requires security screenings of all flying passengers that include a gender marker be identified prior to flight. The agency will accept any gender identity as long as its is listed on their identification. Currently, there are at least 11 states and Washington D.C. that allow nonbinary identification on government documents — Vermont is the latest to pass new policies just last week. Civil rights groups like the Human Rights Campaign quickly celebrated the change as an important step for all people who want their identities to be acknowledged. "By providing non-binary gender selection for ticketing and the gender-inclusive honorific 'Mx' in user profiles, United Airlines is taking an important step forward for non-binary inclusion,” said Beck Bailey, acting director of the Workplace Equality Program. The National Center for Transgender Equality recently released a "Know Your Rights" guide to help all trans and gender nonbinary people better navigate airports due to government identifications being a continued point of contention while traveling. However, changes like ones made at United are helping the organization's advocacy become more supported.